VANCOUVER, BC / ACCESSWIRE / December 17, 2018 / Margaret Lake Diamonds Inc. (TSX.V: DIA / FSE: M85) ("Margaret Lake" or the "Company") announces the resignation of Mr. Paul Brockington as President, CEO and Director and Ms. Debbie Lew as CFO and Secretary of Margaret Lake Diamonds Inc. Mr. Jared Lazerson has been appointed President, CEO and Director. Mr. Lazerson joins Darryl Sittler, Donald Huston, and Buddy Doyle on the Board of Directors. "We would like to thank Paul Brockington for his years of service to Margaret Lake," stated Jared Lazerson, CEO of Margaret Lake Diamonds. 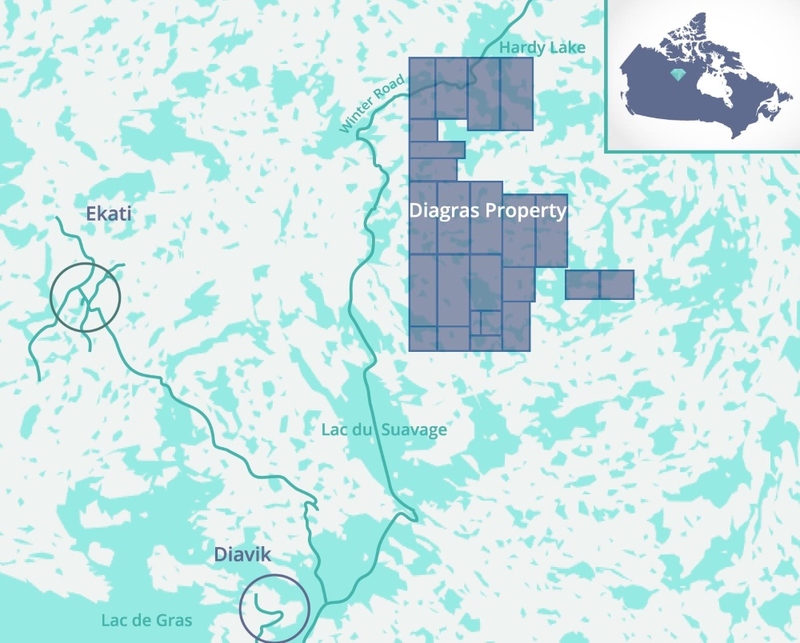 Adding,"Margaret Lake will continue to explore the Diagras Diamond Property near the Diavik Diamond Mine. Diavik is running increasingly low on feedstock and could benefit directly from a diamond discovery. The Margaret Lake technical team, led by VP of Exploration Buddy Doyle, will evaluate diamond and gold acquisitions in this transitional period." Margaret Lake Diamonds Inc. (TSX-V: DIA) owns the Margaret Lake Diamond Project and the Diagras Diamond property, a 60/40 joint venture with Arctic Star Exploration Corp. (ADD). Diagras is comprised of 22,595 hectares located in the prolific Lac de Gras diamond field. The property is comprised of 20 known kimberlites.